The documentary 'Crawford' asked all the residents of this small Texas town to weigh in on the presidency of George W. Bush. 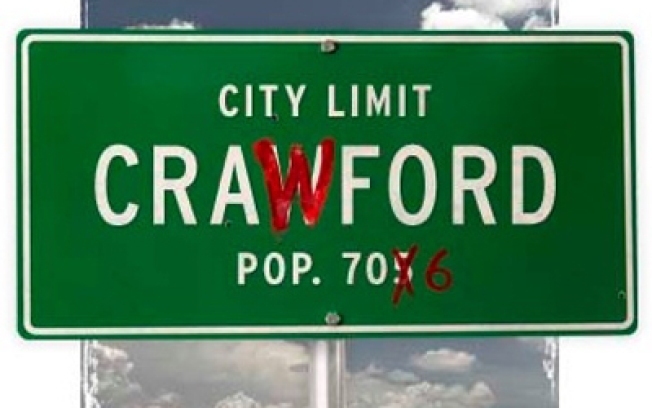 FAREWELL: With just 9 days of Dubya left, watch a thoughtful perspective on his legacy with the documentary Crawford, whose director David Modigliani interviewed the 705 residents of Crawford, Texas, asking what they thought of their president. Indoors at Chelsea Market, 7:30PM. TWANG: Guitar icon Les Paul just won't quit. Catch him during one of his regular Monday gigs with his pick and his Trio at Iridium Jazz Club tonight, with two sets at 8 and 10PM. NICE SHORTS: Time Out calls filmmaker Alex Rivera's upcoming feature Sleep Dealer a "dystopic sci-fi parable," but you won't be able to see that 'til it opens in spring. For now, there's always his bounty of (often disturbing, always interesting) short films, showing tonight at Anthology Film Archives at 7:30PM.